NOLA House-Center of all things New Orleans! In Historical Neighborhood! Property 51: NOLA House-Center of all things New Orleans! In Historical Neighborhood! Walk everywhere in the FQ! Property 52: Walk everywhere in the FQ! 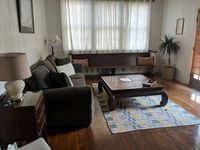 Property 56: Good for families or longer visits. New Orleans at it's Best - Charming Studio, Great Location! Property 59: New Orleans at it's Best - Charming Studio, Great Location! 'Old Arabi House' - 5 Minutes to French Quarter! Property 67: 'Old Arabi House' - 5 Minutes to French Quarter! 3 blks to Frenchman- 6 blocks to French Quarter. Reserved Parking! Property 68: 3 blks to Frenchman- 6 blocks to French Quarter. Reserved Parking! Classic New Orleans Home Near French Quarter and Frenchmen St.
Property 70: Classic New Orleans Home Near French Quarter and Frenchmen St. Whole House -1 Block to Frenchman St. -With Courtyard! Property 75: Whole House -1 Block to Frenchman St. -With Courtyard! Great Central Location For All Your NOLA Fun. Large 2 Bd Right Of Magazine St.
Property 80: Great Central Location For All Your NOLA Fun. Large 2 Bd Right Of Magazine St.
Big Easy Charmer 2 Bdrm 19STR-00985 In Convenient Location. Property 83: Big Easy Charmer 2 Bdrm 19STR-00985 In Convenient Location. Jazz fest stay- April 24-30th available!!! Property 84: Jazz fest stay- April 24-30th available!!! Quaint cozy cottage located in historic New Orleans. 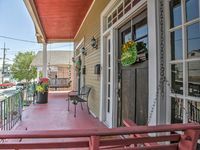 Property 89: Quaint cozy cottage located in historic New Orleans. The General is centrally located in Uptown New Orleans. Property 99: The General is centrally located in Uptown New Orleans. Comfortable house in a decent neighborhood and convenient access to New Orleans attractions by car. The beds were comfy. Easy check in and. check out. The location of this home cannot be beat if you want to be near the attractions in the garden district however it&rsquo;s clear that this house is used for parties during New Years/mardigras/st.pattys. The walls had stains on them from spilled drinks, the stairs weren&rsquo;t completely secured, and the windows were filthy. Homeowner that lives next door had a big party for St. Patrick&rsquo;s day (which he invited us to) but if you&rsquo;re renting this house on a party weekend in NOLA and are not trying to participate I would confirm plans with the owner ahead of time. Again, great location but needs to have a deep clean done now that the festival season has passed.